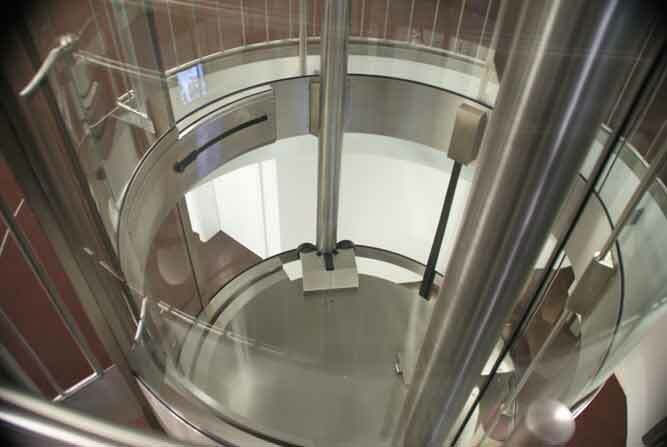 In 2010 as part of the renovation of the Branch Office of the Raiffeisenbank in Burghausen, GBH-Design GmbH was appointed to design, manufacture and install a very inimitable circular glass 8 person, 630kg, 2-floor lift and lift shaft. 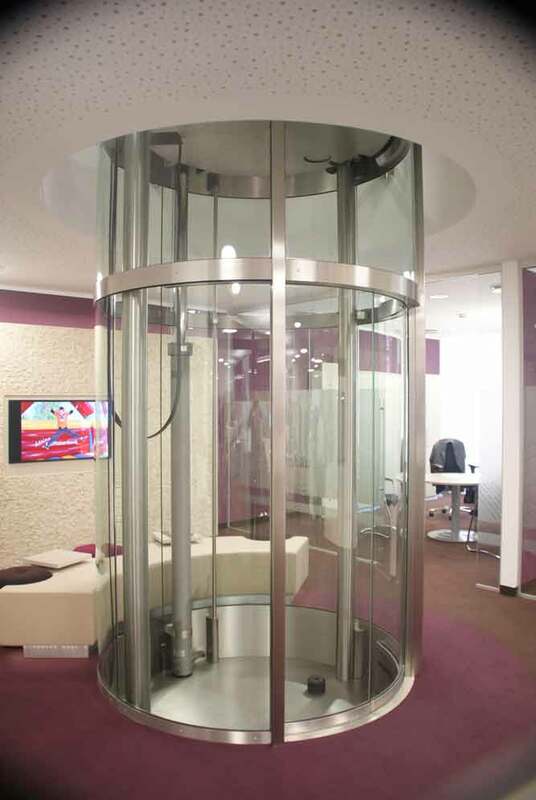 The remit was to provide a space-saving, filigree, round glass lift with an eye-catching design in the reception area of the Bank, the task was made more challenging because there are accessible offices/rooms under the lift shaft, in addition, the Ground floor, where the lift pit is positioned, is not structurally sound enough to support the new glass lift structure or loads imposed by the lift system. 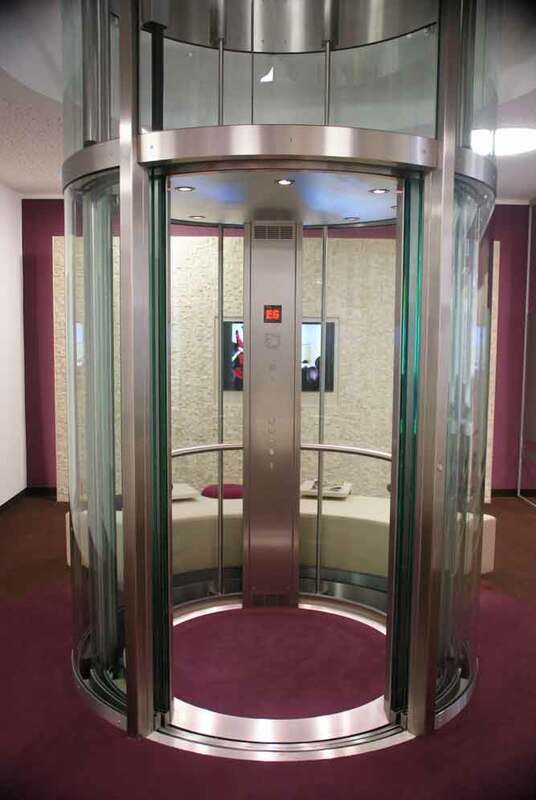 GBH’s Design Engineers decided to use a rear acting hydraulic frequency controlled drive system, so as to avoid the need for a borehole, they kept the pit depth to a minimal 400mm deep, and they transmitted the structural loads of the lift shaft and lift system from the lift pit, up to the roof of the building via vertical tie rods. 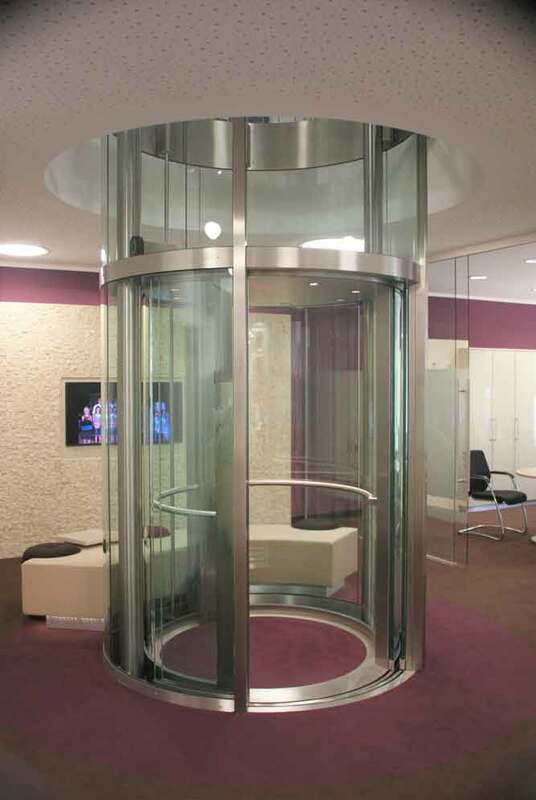 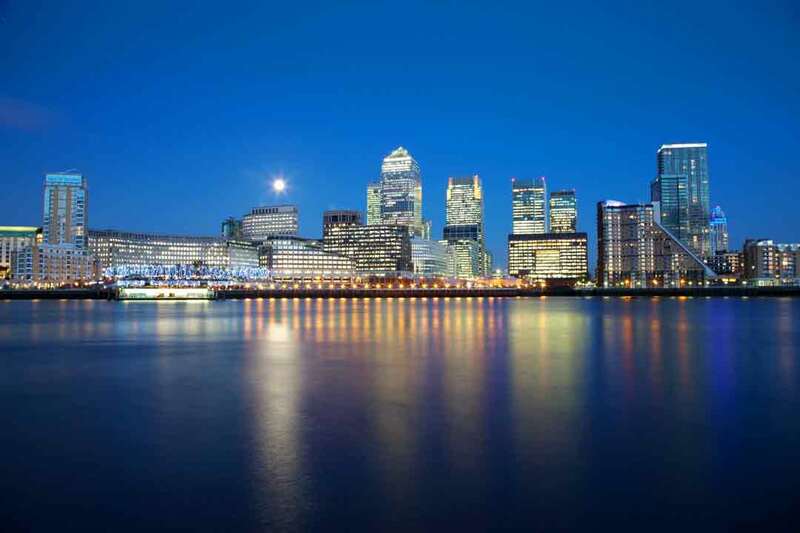 The appearance of the radial glass lift installation is enhanced by the use of a minimal satin finish stainless steel frame, full glass underdriven curved doors, and large round stainless steel guides providing another very unique GBH lift.